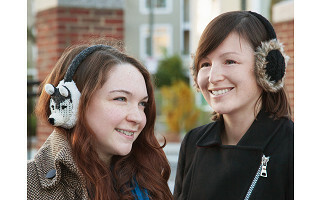 Nirvanna earmuffs will warm your ears—and the story of how they’re made will warm your heart. These unique knitted ear warmers are 100% wool on the outside, with a soft, cozy lining. They look as good as they feel, with both traditional and imaginative designs the young—and young at heart—will love. Founder Nir Gurel, who often traveled to Asia, was inspired by the craftspeople there. Nirvanna's knitted ear warmers are reminiscent of the kind worn by sherpas in Nepal. Today, they employ hundreds of local artisans, paying them fair wages for their work—much of which is done by women at home. The money Nirvanna’s workers earn goes back into their local economies, completing what Nir calls the circle of Karma. Hello everyone! I'm proud to introduce Nirvanna to The Grommet. I'd be happy to answer any questions you have! Are there other animals available, other than the wolf, bunny or monkey? I'm looking for a cat, or a dog? or an owl? @Jeanne Hi Jeanne, we do have other animal styles. The Grommet definitely has our best sellers though! Hi Shirley - is it possible to get. Set with something that looks like a tan and white Corgi dog? @Robert Hi Rob we currently dont have Corgi dogs in our collection. Would these fit for children, or just adults? @Shirley So if you have a big head these will fit? @Sharon Hi Sharon, you have to try it on. 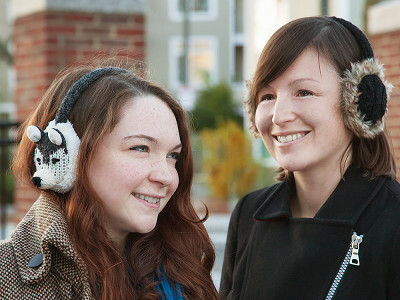 The headband part of the earmuff is adjustable so it has some extra give. I would love to see the product from another angle that shows how it fits on your head and adjusts to size. I gather there is no metal or plastic piece in the headband? @Marcia Hi Marcia,the headband does have a plastic base/piece that is knitted around. 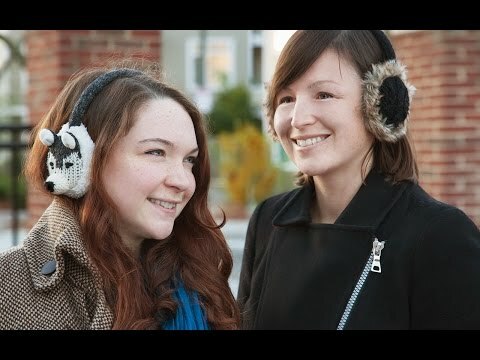 Nirvanna earmuffs will warm your ears—and the story of how they’re made will warm your heart. These unique knitted ear warmers are 100% wool on the outside, with a soft, cozy lining. They look as good as they feel, with both traditional and imaginative designs the young—and young at heart—will love. 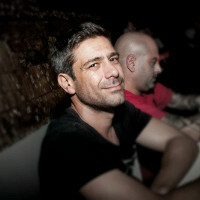 Founder Nir Gurel, who often traveled to Asia, was inspired by the craftspeople there. Nirvanna's knitted ear warmers are reminiscent of the kind worn by sherpas in Nepal.